I can no longer log caches after logging in. Groundspeak tech support suggested logging off and clearing cookies, trying different browser. I have done this on IE, Firefox and Chrome. Still same issue. 'Go' button on site is dim, clicking on it, gives no action after entering cache ID. Anyone else, and what finally solved it? Can you post a screenshot of what you are seeing? On a Cache page is "Log Geocache" button. Is that not active or can you click that? If you can, that opens the log page. At the bottom of a log page is "Post". Is the Post button not enabled? Or are on your on the main geocaching.com page and entering the GC code and clicking on the magnifying lense icon? In Chrome, open a new incognito window. You will need to log in to your account before you can post. Does the page react different in an incognito window? Are you on Windows, a Mac or something else? Do you have a smartphone like an iPhone or Android? If you open the web page in your browser, can you log thru the phone via their web page? Where are you seeing a "Go" button? Next to the search for geocache bar. Having said that, I realized the error of my ways - I was trying to log two different vehicle travelbugs as geocaches (It's been over a year since I recorded a find I believe). So, nothing to see here, other than an idiot. Having problems logging a find on website. when I select the "Log a New Visit" all I get is a blank screen. Seems to work fine for me. The button you are clicking is "Log geocache" button on a specific cache page, correct? 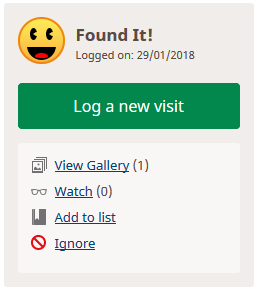 You mentioned "Log a New Visit" and that's not a button I see. Try to launch a browser window in incognito mode or even without any plug-ins/add-ons/extensions to make sure something else isn't blocking the page. If you are more technically inclined, launch developer tools, reload the cache detail page and click the Log geocache button. See if it shows anything in the console or network tabs of developer tools. Just logged nine and all fine. I only use the old log page. Hit "log a new visit" and got the standard options. Do you use the new, updated log page? Either "Log a new visit" isn't accurate, or I'm (the dyslexic old fart...) seeing it wrong. Four other options available once you log a find (DNF, NM,NA and write note), but "Log a New Visit" isn't one since May last year. "Log a New Visit" is what "Log Geocache" becomes if you've previously logged that cache. Think I may have found the problem. It is the virus checker I am using which is Kaspersky. When I turn it off no problem, turn it back on then it is an issue. 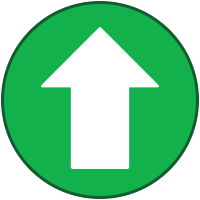 Have not been on geocaching website for over 4 months but this has not been an issue before, so maybe it has to do with a recent update of that checker. Of the geocaching website that seems to be the only screen that is an issue but I have not tried much else to see. I have also noticed sometimes I have issues of pictures in a newscast that also don't load properly, and it is not consistent. Will need to experiment a bit more.